Nevermind, found it. It was <div id="global-loader"></div>. FYI, your code calls the English folder "english-utf8", but the package downloads it as "english." This messes up the new.gif image. I renamed my folder "english-utf8" and it works fine now. A similar issue happens in the unread section. Could you provide a fix? Thank you. The new files work great. I have a question. I want the icons, shown below, to still show if the screen is less than 480px. I was able to do it for less than 640px but I can't find where to edit it for less than 480px. Can you help me? 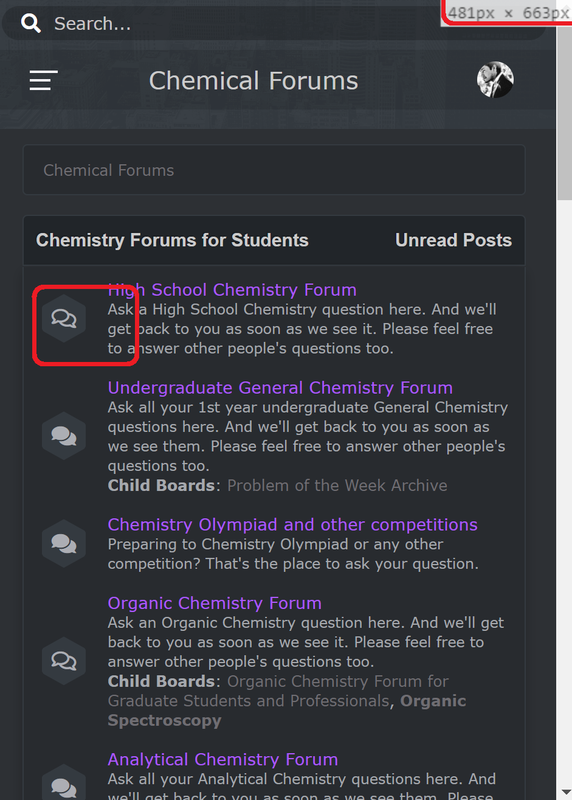 I want my users to know when a forum has new posts, but there is no way to tell when the screen is less than 480px. 1. 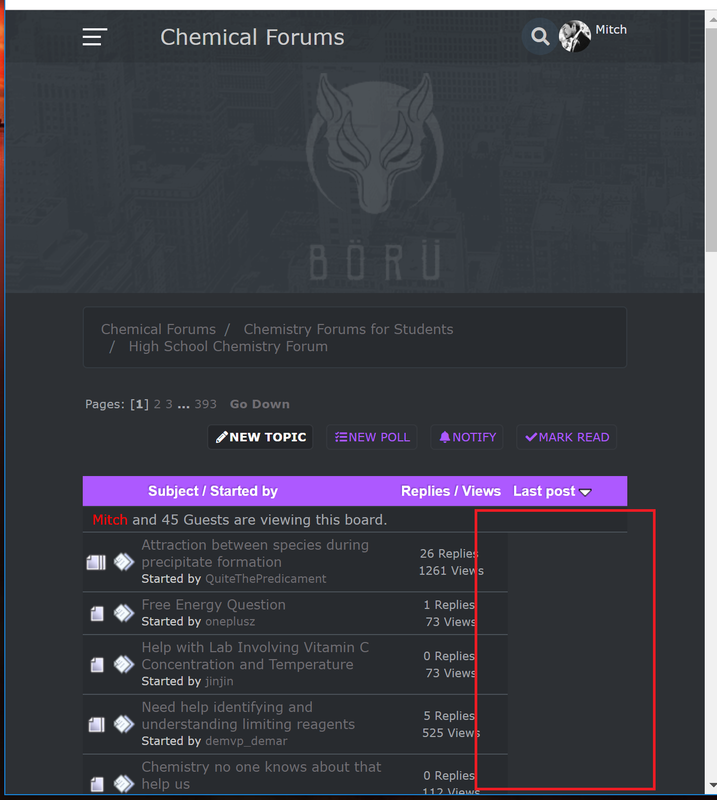 How do I change member group colors inside of a post? Okay I fixed the online button, i just kept reuploading it and it finally fixed itself. I changed all the logos in /images and it still shows the boru logo when i link people on facebook or instagram. Is there away to change that? I changed the smflogo.png to a -K- its displayed on my website now. 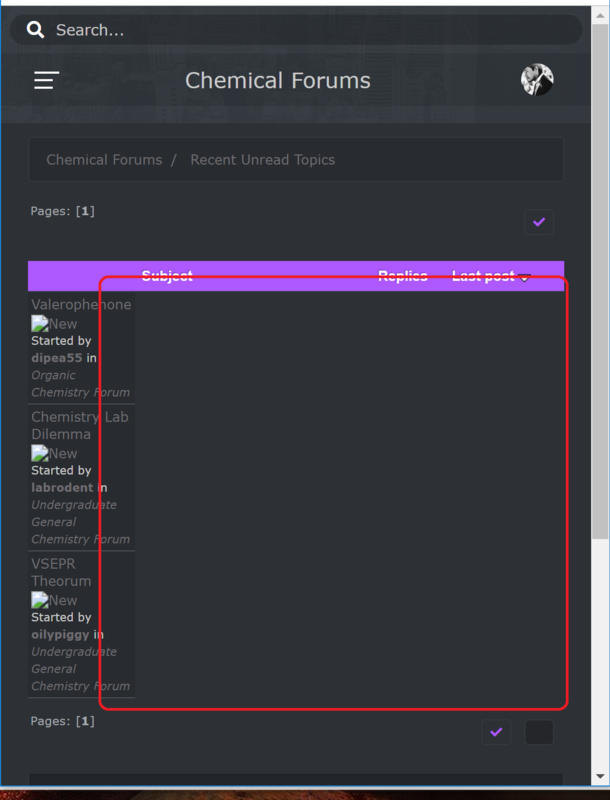 I have the following problem, it turns out that the topic has something which does not show the image of useron.gif that show all the topics, in what way is this fixed? Alıntı yapılan: Jutes - Nis 19, 2019, 01:18 öö I have the following problem, it turns out that the topic has something which does not show the image of useron.gif that show all the topics, in what way is this fixed?